Nevada Landworks Corporation is owned and operated by a family who is truly native to Northern Nevada and its surroundings. This organization prides itself on instilling a vision for design that is intuitive in its nature, artistic in its visual presence, while remaining anchored in a solid foundation of proven landscaping techniques. Every creation is built with the intention of furthering the beauty of this pristine area and bringing vibrant life to your living spaces. All of our finished landscapes are a collaboration of your ideas and desires, intertwined with our expertise, to paint a vivid picture of your self expression. The final product is a landscape that is creatively designed and developed specifically for your home or business. From rustic southwestern to mountainous, modern to contemporary, from acres to courtyards... our firm will exceed your expectations every time. 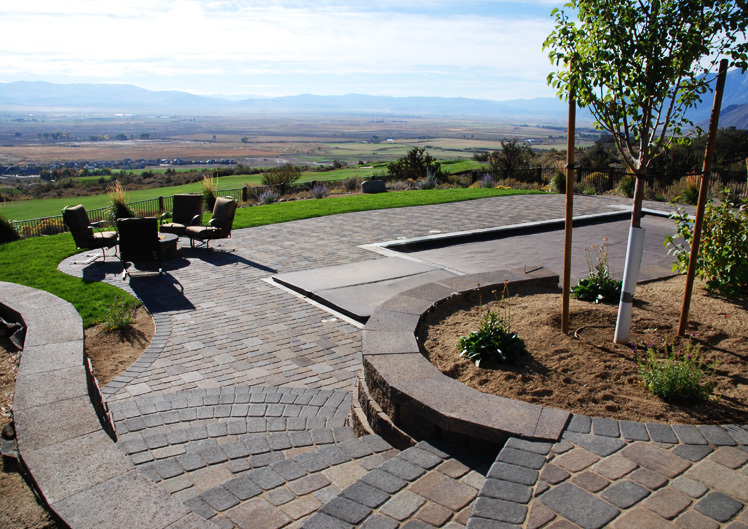 From pavers, patios & rock walls to fire pits and artistic vantage points, Nevada Landworks can bring your living spaces to life. 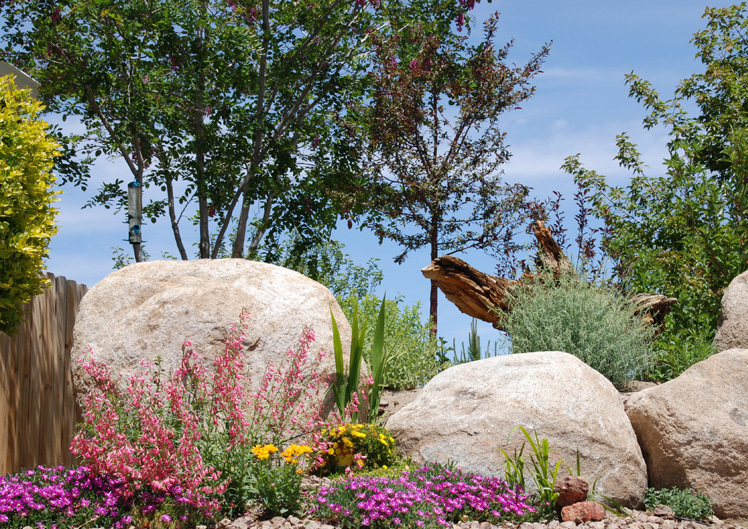 Utilizing natural domestic and imported stone, Nevada Landworks prides itself on the ability to create and/or compliment any landscape with dramatic impression. Maybe it’s the sound of a babbling brook or the view of a tranquil pond that settles your nerves after a long day. Perhaps it’s the power and dramatic presentation that a large scale waterfall provides that excites you. No matter the request, we can fulfill your every desire. 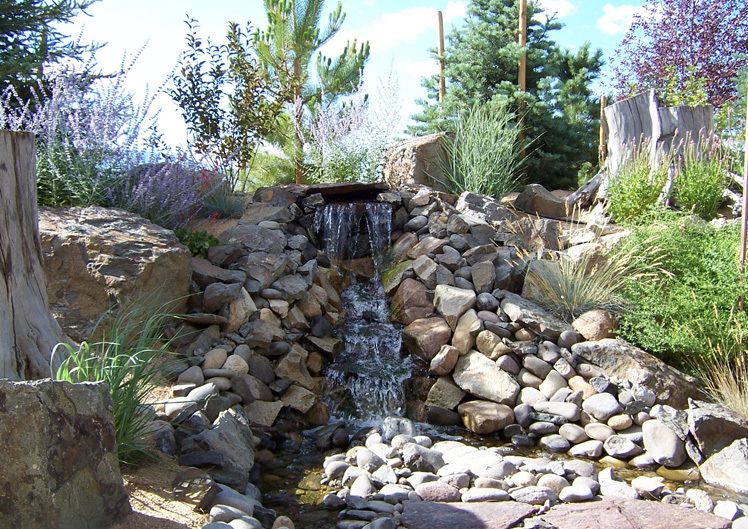 Any type of water feature to works of modern water art, Nevada Landworks is capable of it all. Our solid reputation as landscape contractors has naturally created a large demand for detail oriented landscape management services. 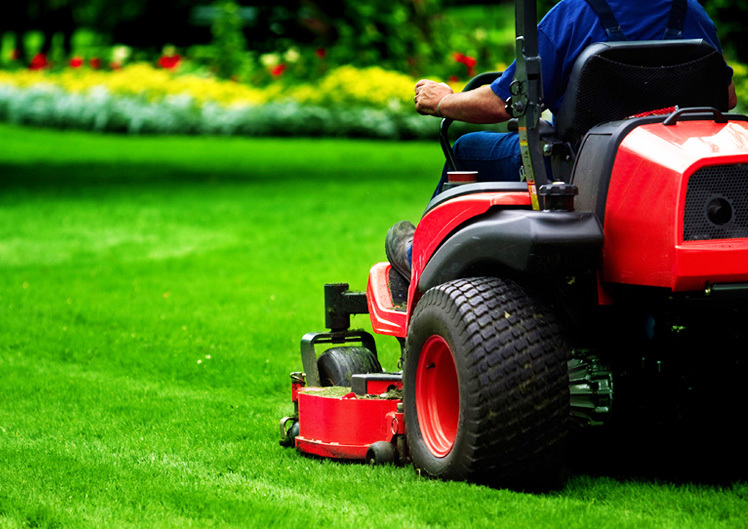 Our landscape management staff is highly dedicated to the proper maintenance, care, and conditioning of each residence we manage. Each week your residence will be meticulously maintained to increase the value of your landscape investment as well as improve the aesthetic appeal of your home. We always have your best interest in mind when we arrive at your residence. If there is a potential problem or an area that needs extra attention, you will be informed of the issue and proper actions will be taken to resolve it. If you are an existing Nevada Landworks client, our landscape management services buy you extra protection for the future by means of an extended guarantee period. Thank you for your interest in working with Nevada Landworks. For a FREE estimate, please contact us directly to schedule an appointment. Or, feel free to utilize our "Request A Bid" option.